Tonight the guys are answering some more questions. So I am one of those people that only listen to the audio-only podcast and I want to say thank you for all the info. I have been reloading for about 4 years and prolly have close to around 6k rounds loaded so far. I thoroughly enjoy learning new things and reaffirming what I think I know. I do have a question that I've heard mixed things about. I reload my rifles more for hunting. How much does off center flash holes affect accuracy? I only shoot 150 yards or less on average but I do get some 400 yard shots occasionally. I'm more concerned with hunter's accuracy and not super precision target loads. How much impact does a press have on finished ammo for long range centerfire rifle. Scott Shaw shared his first post. 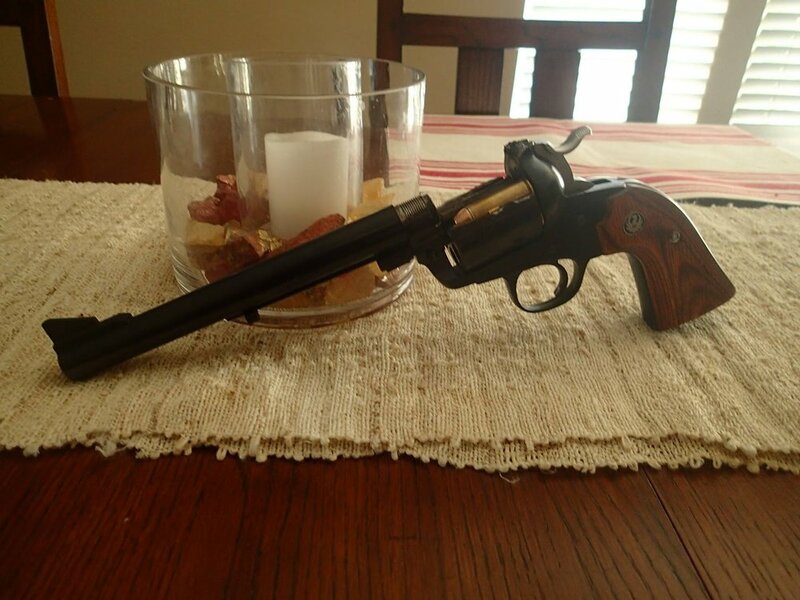 I loved this Bisley Blackhawk in .45LC. Sadly I blew it up with way too hot a load. A Hornady kit with a defective powder scale. I found out the hard way that it weighed 3X times the powder that was the load. 6.2 grains of Titegroup was the right amount , but 18 grains was what went in the case. The sight cut my head , but otherwise OK. Could have been much worse ! Ultra-sonic Cleaners - who uses them / pro - con - - of them? What do you use in them? Do you have your special cleaning solution or do you buy the ready made solutions offered by Lyman or Hornady?